On 21 March, the ROCK project partner DFRC took part in BTO 11, an international Smart Tourism conference held in Florence, Italy - along with other major players of the ICT industry such as Google, Trivago and Trip Advisor. 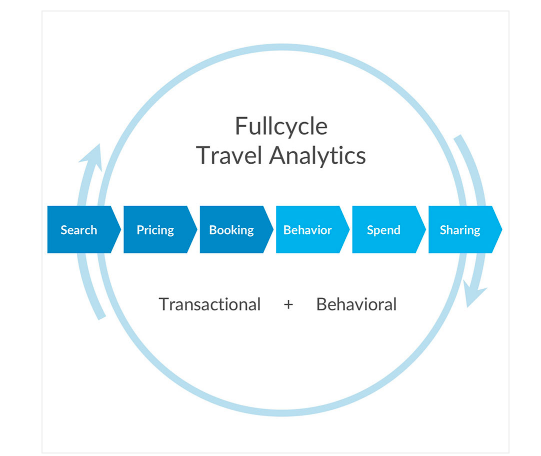 More specifically, the Destination and Smart Sustainability panel gathered international speakers interested in finding added value in Big Data for tourism. Antonio Pezzano, CEO of DMI, moderated the Smart Sustainability panel. His long-time experience in tourism culminated in the Note Di Turismo initiative, in partnership with Officina Turistica, which offers open access to data and business intelligence material on tourism in Italy to improve the level of information available to decision-makers – such as policymakers or directors of tourism organisations – regarding the development of tourism in Italy. Specialised in multi-device applications, enterprise architectures, cloud computing and GIS, Andrea Cruciani presented TeamDev and the FIWARE project as well as it’s Italian hub, iHub Umbria. The goal of FIWARE is to provide open access APIs via an open source platform aiming at building smart solutions, for multiple sectors including tourism. Examples from their Smart City project, marketed as WiseTown, illustrate how technological ecosystems can be used to foster the development of data-driven strategies for cities and tourism. Regional Destination Organisation Coordinator for Ljubljana Tourism, Alenka Soršak introduced the Green Scheme of Slovenian Tourism (GSST) which consists in a national tool and certification programme, regrouping labelled destinations, accommodation providers, parks and travel agencies under the “Slovenia Green” brand to promote practices of sustainable tourism at a local and international level (see Figure 2). 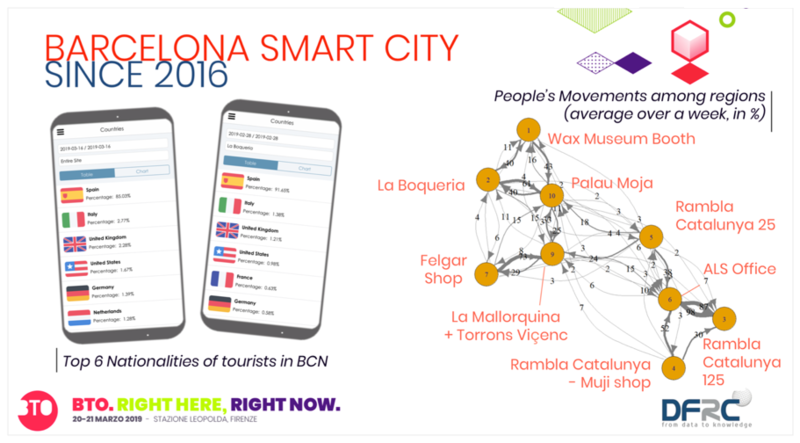 In Barcelona (see Figure 3), an entire zone of the city is currently under monitoring, offering data about tourists’ nationalities and citizens’ mobility flows, in addition to the above-mentioned analytics.